Look no further, my friend. THIS IS THE ONE. An aquamarine and diamond ring. 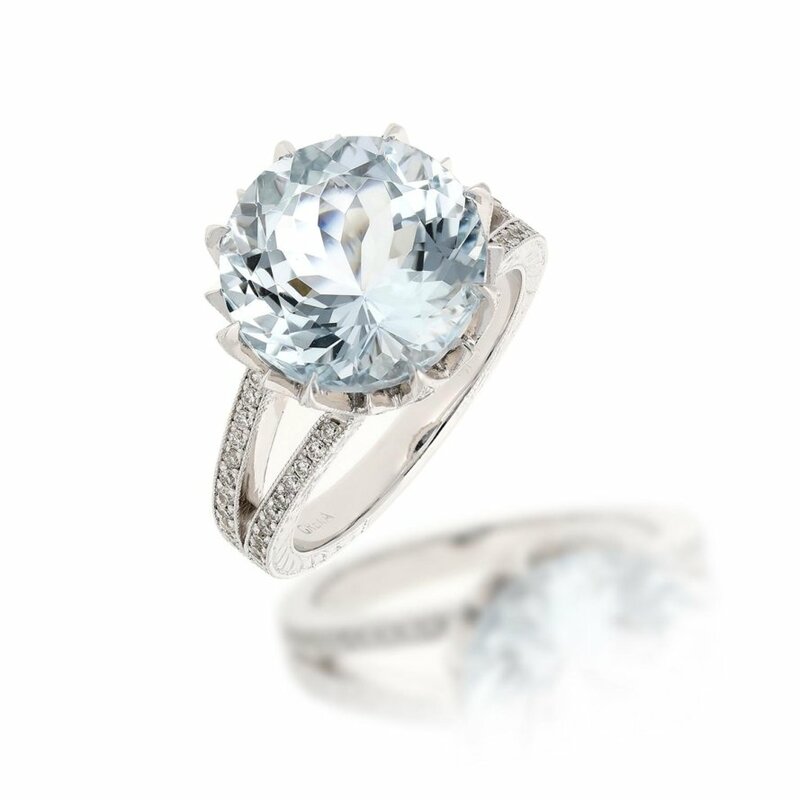 This ring features an aquamarine centerstone at 6.49ct and accenting round diamonds at 0.82ctw set in 14K white gold. Very unique piece–looks almost like a crown from the side! Be AquaMan! !